The two 2.66 GHz Quad-Core Intel Xeon processors of the Mac Pro desktop allows you to work on multiple applications simultaneously. Take your gaming experience to a whole new exciting level as this Apple 1TB desktop features the ATI Radeon HD 5770 graphics card. 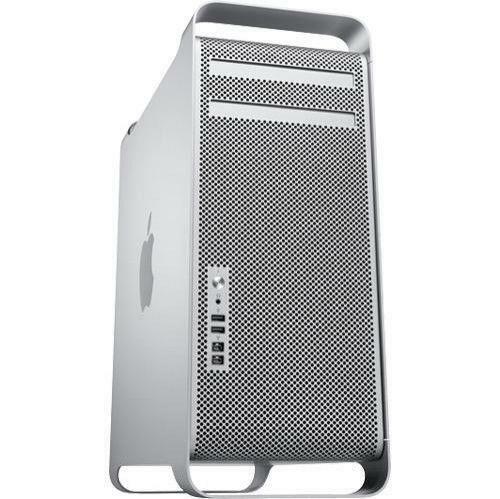 With 32GB DDR3 RAM, this Apple 2.66GHz desktop provides you with extremely faster data accessing speed. Enjoy high-speed network connectivity with the two independent 10/100/1000BASE-T Ethernet (RJ-45) interfaces of this Apple 1TB desktop. You can now transfer data between compatible devices with Bluetooth 2.1 support of the Mac Pro desktop. You can connect up to 5 peripheral devices through the integrated 5 USB 2.0 ports of this Apple 2.66GHz desktop. Stay connected to the web with 802.11n Wi-Fi support of the Mac Pro desktop.